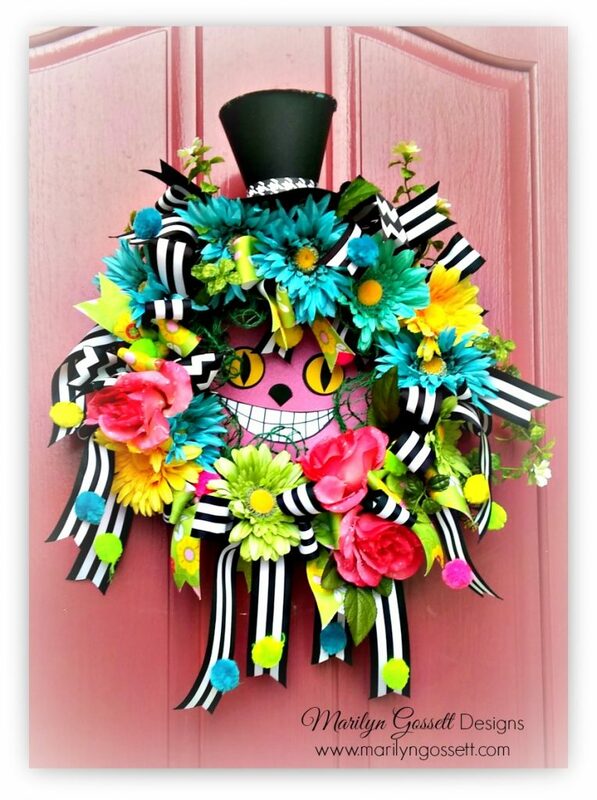 With the new Alice in Wonderland movie opening this past weekend, I thought it would be really fun to make a wreath that celebrates both the Mad Hatter and the Cheshire cat! Visit my blog for details and see all the different materials I used to get just the right look for my Alice in Wonderland wreath. Smoothfoam’s new ruled wreath forms make it easier to space everything out without measuring. This entry was posted in Home Décor Crafts and tagged Flowers, Wreaths by Marilyn Gossett. Bookmark the permalink.